2,500 runners ages 6-18. 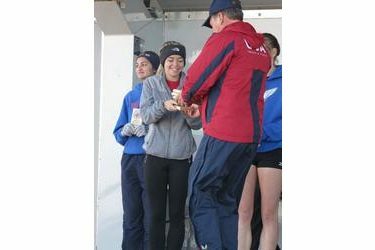 It is the 2nd largest age group cross country meet in the USA. Blazers finished in 4th place out of the 28 teams competing. Virgin. Virgin was the first celebrity runner speaker and awards presenter at the National Meet. the 1981 Boston Marathon with a time of 2:10.26.